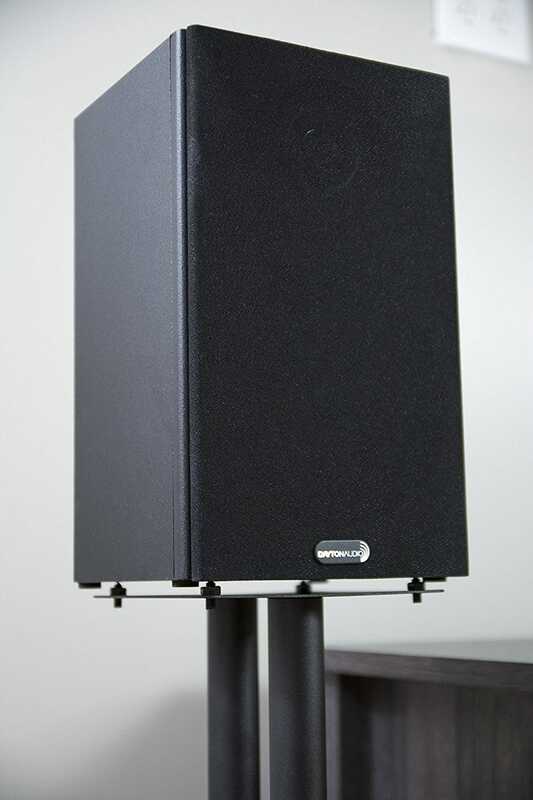 A pair of stylish 600mm tall pedestal-style stands, perfect for bookshelf speakers. These pedestal style speaker stands are 600mm tall and are ideal for bookshelf speakers, although they work just as well for smaller satellite speakers as well! Their minimalistic design makes these stands a stylish, neutral addition to your home that will look great in any space and won't break the bank. At 600mm tall, these stands will sit your speakers at a low-profile level that will look great with your home theatre furnishing. Included are small spikes to screw in the pedestal to decouple the speaker from the stand itself. Decoupling your speakers reduces the amount of vibration transfered into the stand giving you a better, truer sound from your speakers than if they were placed on a flat surface! Of course if you already own decoupling spikes you can choose to use those instead. 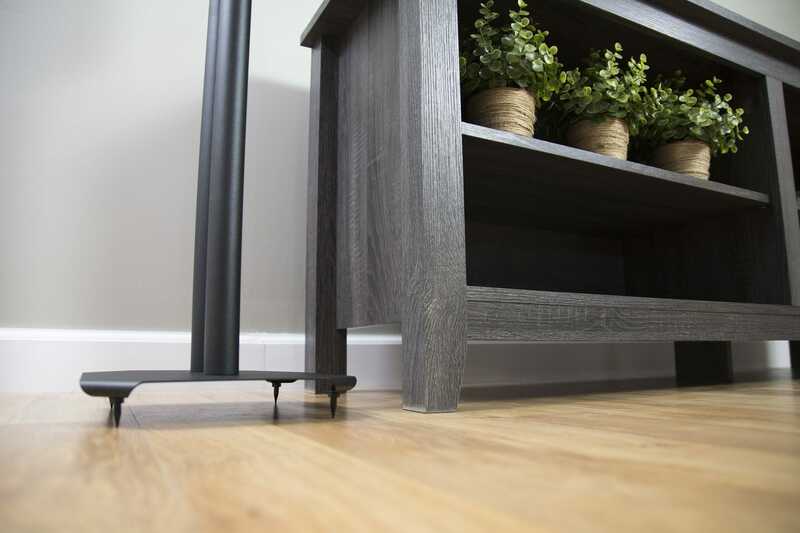 Each stand includes optional floor spikes which improve stability on carpet, as well as add another layer of vibration isolation on hard floor. Alternatively, stick-on pads are included to stick on the base of the stands, which make the units safe for hard, scratch-sensitive floor. 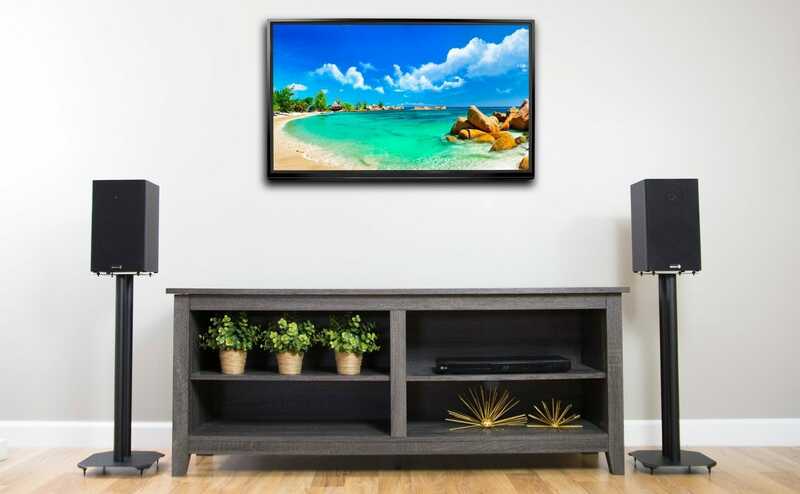 These units are made with high gauge, cold-rolled steel with a matte black finish. Supported by 2 steel pillars, these stands are sturdy while maintaining a low-profile. These speaker stands require assembly. All necessary tools are included.